The Trojan War is over, and Odysseus longs to return to wife and son on his island kingdom of Ithaca. But between hero and home stands an array of dangers unlike any ever faced by mortal man. On his epic voyage—an adventure so grand and glorious it has become the very symbol for all great journeys—Odysseus must face the monstrous cyclops, escape the enchanting nymph Circe, defy the terrors of Scylla and Charybdis, and descend to the land of the dead. Even home is not safe, for there Odysseus must triumph in one last battle to be reunited with his loving wife. 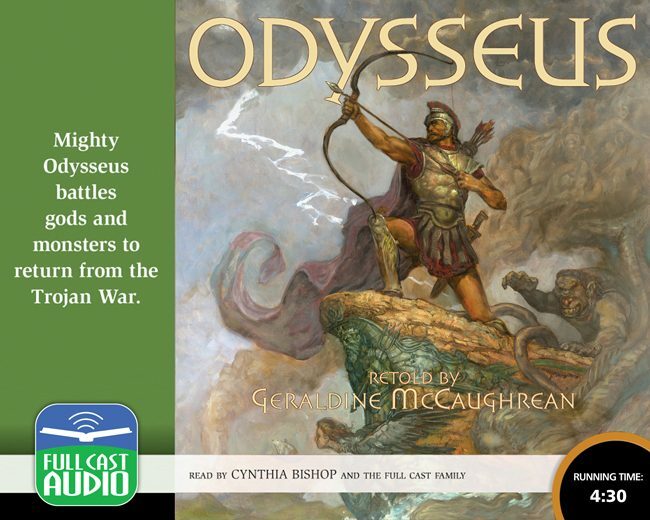 For nearly three thousand years the story of Odysseus’s journey has enthralled the world. Now Full Cast Audio brings you Geraldine McCaughrean’s brilliant retelling, in a dazzling recording that will captivate young and old alike.